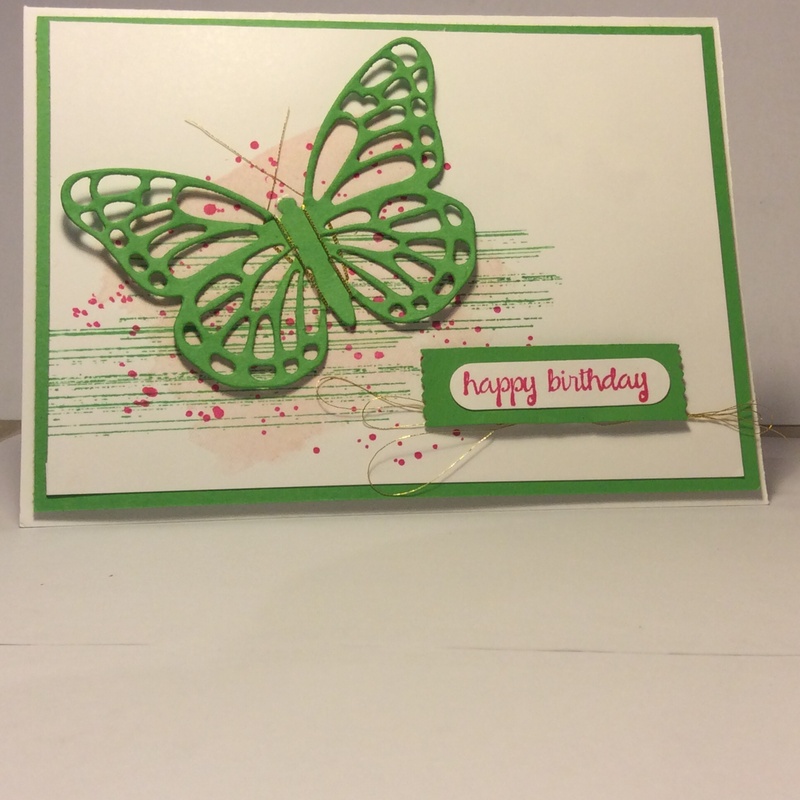 I have been playing around with the new colours and beautiful butterfly dies and stamps. Stampin’ Up! Colour Scheme: Cucumber Crush, Pink Pirouette, Melon Mambo, Whisper White. 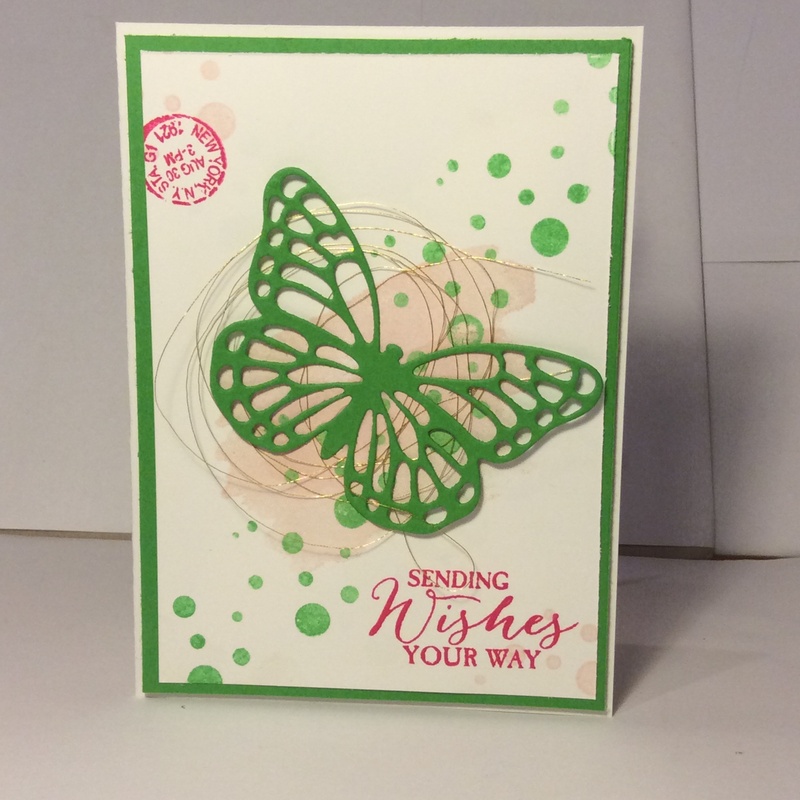 Stamp Sets: Butterfly Basics, Gorgeous Grunge, Perpetual Calendar, And. Many More. Embellishments: Metal Gold Thread. Washi Label Punch, Word Window Punch. Hopefuly you you like these cute butterflies. 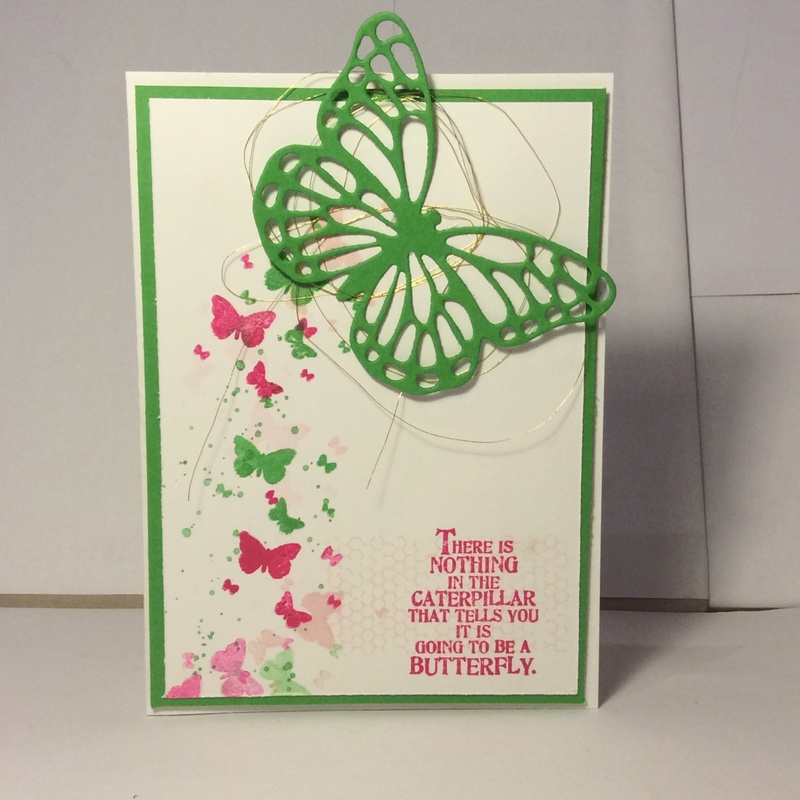 This entry was posted in Mum's Posts, Stampin' Up! 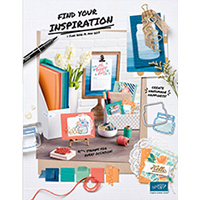 and tagged A Dozen Thoughts, And Many More, Butterfly Basics, Butterfly Thinlits Die, Cucumber Crush, Gorgeous Grunge, Melon Mambo, Perpetual Calendar, Pink Pirouette, Stampin' Up!, washi label punch, Whisper White, Word Window Punch. Bookmark the permalink.